What good is collecting all of that lead information through your forms if it doesn’t end up in a powerful CRM? A new JotForm integration with HubSpot CRM makes sure that’ll never happen. With this integration, the information submitted through your form automatically populates the correct fields in your HubSpot CRM, where your sales team can quickly act. 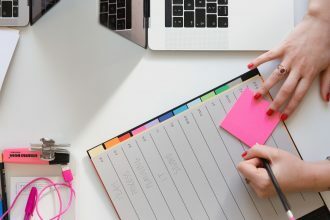 Before, the only way to fill your HubSpot account with information collected using JotForm was to copy and paste, one form submission at a time. There had to be a better way. Now the forms you create for lead generation, donations, event registrations, and more will sync with a system that makes it incredibly easy to follow up with respondents. The best part is that HubSpot CRM is not only one of the best CRMs on the market, it’s also free to use. 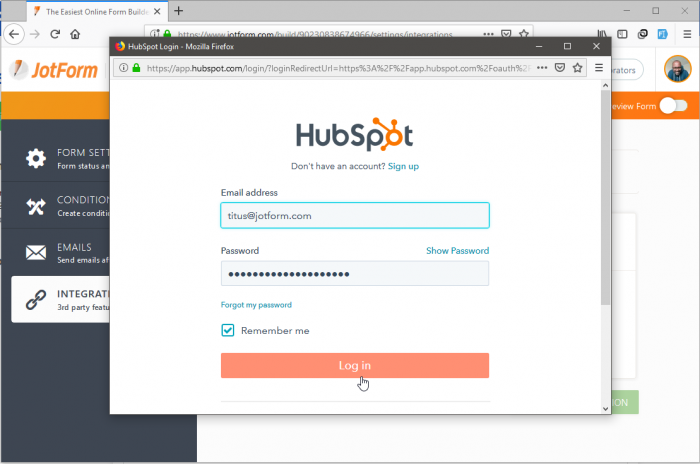 Get up and running with your new HubSpot form integration in just a few simple steps. 1. 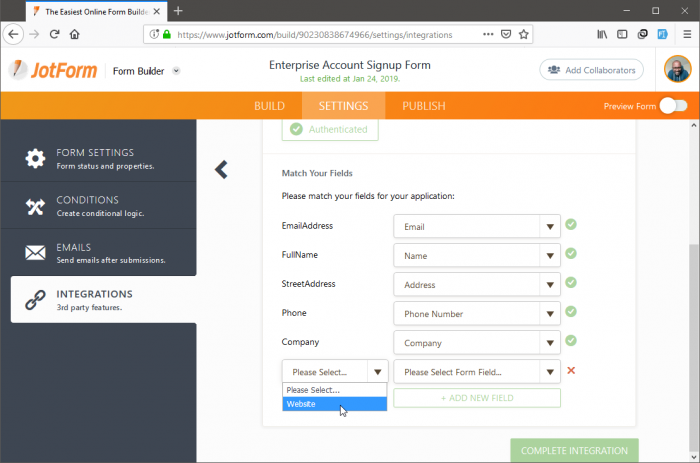 Choose one of your lead generation forms, or quickly create a new one in JotForm’s Form Builder. Then find the HubSpot CRM integration under Settings at the top. 2. 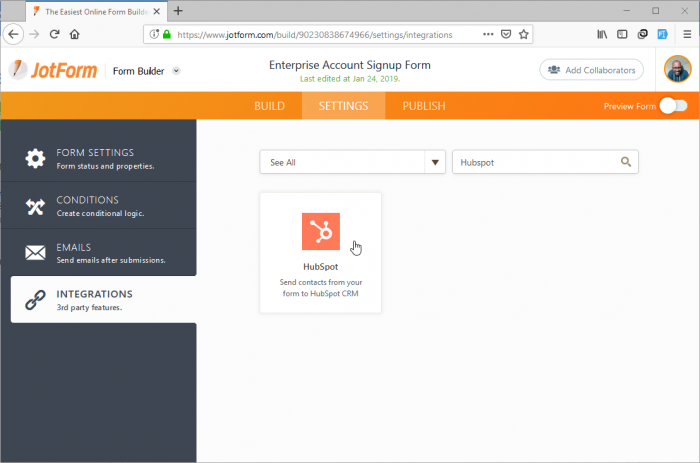 Connect your JotForm and HubSpot CRM accounts simply by logging into HubSpot. 3. Now it’s time to merge your form fields to match what shows up in your HubSpot account. And that’s all there is to it! Now your fully customizable online forms will deliver contacts and leads directly into your HubSpot CRM account. 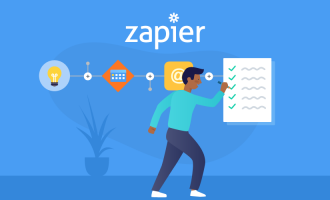 When the tools you use work together, it can save your company hours every week by eliminating tedious, unnecessary tasks. Now this cost-effective combination will help generate more leads and help your sales team close deals. Are you a HubSpot user? Have you tried the new integration? Let us know in the comments below. Great information Glad to find your article. It was quite beneficial for me. Will love to follow you from now. Integration is useless for me at this point since they only have a set of about 7 pre-set fields available. According to support they have no timeline on pulling in custom Hubspot fields... or even Hubspot's regular standard fields either. Highly disappointed. Was excited hearing this announcement, only to find out it's useless to me. It's not pulling the correct fields for me. Where is it pulling from in Hubspot? They don't match my fields at all. They look like placeholder ones. Yay! 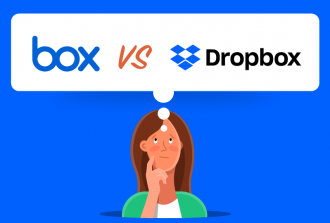 We use HubSpot :) It would be cool if we could make it so that jotform just listed the submissions to a corresponding file like SurveyMonkey's integration does. And then also being able to use it in a WF would be cool too. Just some suggestions :) Im super happy about this!